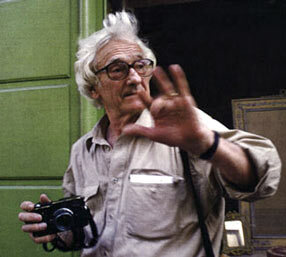 Marc Riboud is born in 1923 in Saint-Genis-Laval near Lyon. In 1937 at the Exposition Universelle in Paris he takes his first photos using a small vest pocket Kodak given to him by his father for his 14th birthday. In 1944 he joins the resistance in the Vercors. From 1945 – 1948 he studies engineering at the Ecole Centrale in Lyon and starts to work. Three years after he decides to become a photographer. In 1953 his photograph of a painter on the Eiffel Tower appears in Life Magazine. This is his first publication. 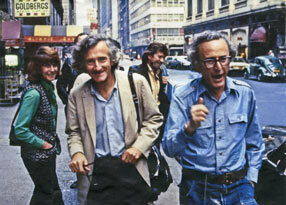 Invited by Henri Cartier-Bresson and Robert Capa he joins Magnum Photos agency. In 1955, he travels by road through the Middle East and Afghanistan to India and stays for one year. In 1957 he travels from Calcutta to China making the first of what will be many long stays. His road trip to the East ends in Japan where he finds the subject for what will become his first book, Women of Japan. In 1960, after a three-month stay in the USSR, he covers the struggles for independence in Algeria and Sub-Saharan Africa. 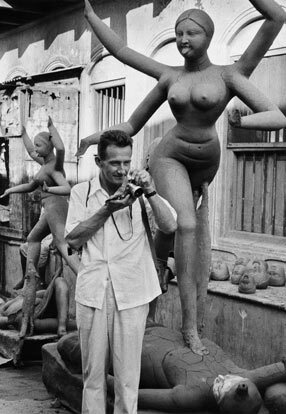 Between 1968 and 1969 he photographs in both South and North Vietnam, one of the rare photographers allowed entry. In the 80s and 90s, he returns regularly in Orient and Far East, especially in Angkor and Huang Shan, but he also follows the rapid and considerable change of China, a country he has been looking at for thirty years. In 2011 Marc Riboud makes a dation in payment of 192 original prints made between 1953 and 1977 to the National Museum of Modern Art (Centre Georges Pompidou), Paris. His work has been distinguished by prestigious awards and is exhibited in museums and galleries in Paris, New York, Shanghai, Tokyo, etc. Marc Riboud passed away in Paris, at 93 years old, on August 30th 2016. The core of his archives will be donated to the National Museum of Asian Arts – Guimet, Paris.